This is simple, really. 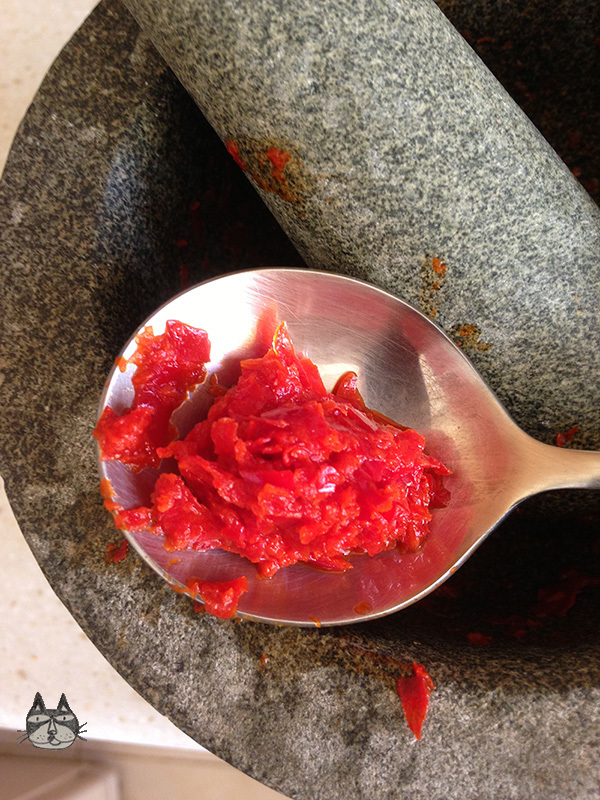 A simple sambal paste that you will use for cooking. 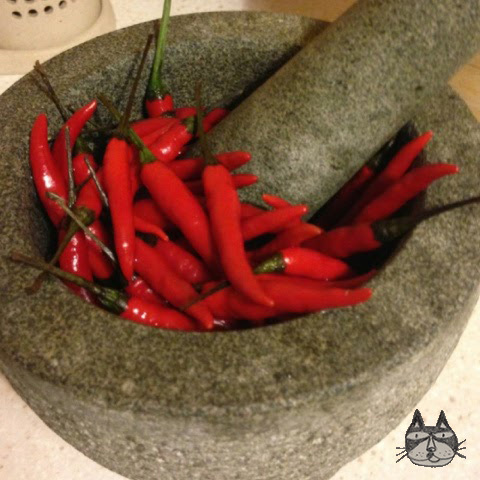 It’s simple (if you use the food processor), but I am a big fan of pounding the chillies in the lesung (pestle and mortar). It’s quite cathartic, and you get an amazing red paste of . I usually add more ingredients after to make it into a wonderful accompaniment/sauce. Example, fresh shredded coconut to make Sambal Kelapa (my mother’s favourite!) that makes an excellent relish. De-seed the chillies, and chop into small pieces. Wear gloves, wear gloves, wear gloves. In the lesung, pound the chillies, occasionally adding a pinch salt to help draw out the liquid, and water to make it easier to mash. Until smooth. If you’re using the food processor, add the chillies and a pinch of salt. Blitz until fine. Eh voilà! Ready to use! Here, I added some Ikan Bilis to the lesung while pounding, and I am eating it as a dip/relish with some crunchy unripe mangoes. 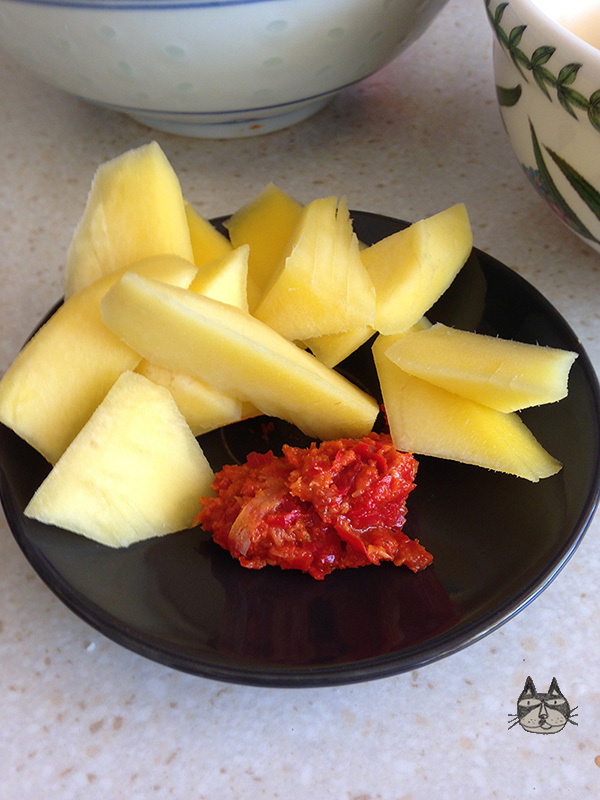 The sour tanginess of the mango goes really well with the spicy savoury sambal!